This Privacy Notice sets out the data processing practices carried out by Redwings Horse Sanctuary (Registered Charity 1068911 / SC045070 and including Redwings Enterprises Limited) in relation to supporters, guardians and anyone else whose data we process. Please note that all data captured will be used and held in accordance with the requirements of the General Data Protection Regulation (GDPR). When we have acquired your personal data as the result of a charity merger or acquisition. We collect your details when you email us with an enquiry; these will be used solely to record information about your enquiry. We also collect information about the transactions you undertake through our website, over the telephone and in our visitor centres including details of payment cards used. In addition to the above, we collect information automatically about your visit to our website. Please see our Cookies Section below for more details. We ensure that personal data is only processed in line with the purpose for which it was originally intended. We will send you information according to the consent preferences you submitted via our ‘We’d love to keep in touch’ opt-in preferences when you place an order or make a donation; when you subscribed to our email newsletter; or according to the preferences you indicate when contacting us through a contact us page or by email for more information about a specific area of our work. If you would like to change these preferences at any point, please email us at info@redwings.co.uk, call us on 01508 481000, write to us at Supporter Services, Redwings Horse Sanctuary, Hapton, Norfolk, NR15 1SP, or log into your online account. You can also click ‘unsubscribe’ at any time (located at the bottom of our email newsletters) to stop receiving email communications from us. For people applying for a job or voluntary role at Redwings, privacy information is provided on the application forms. We process your data in readiness for interview and to complete pre-employment checks such as the right to work in the U.K. If you are successful at interview we will process your data in readiness to enter into a contract of employment or volunteer agreement with us. 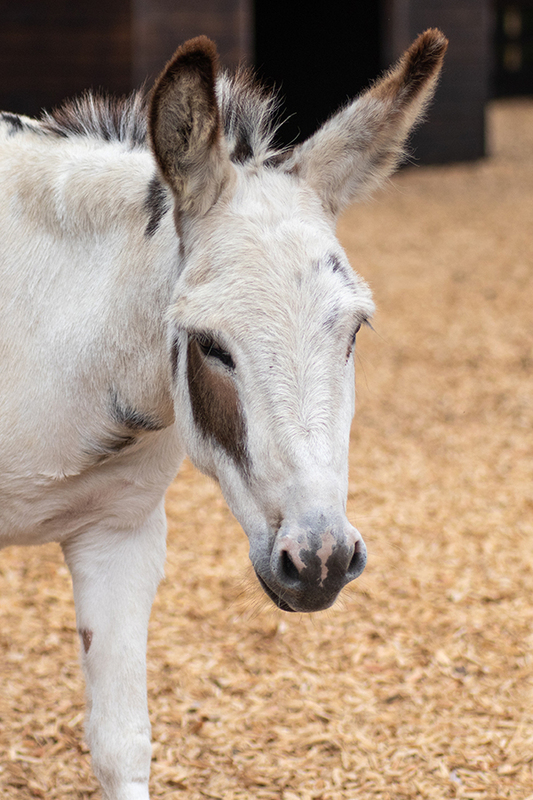 For people applying to become a Redwings Guardian to rehome one of our equines, your privacy information is provided on the online application form. The data we collect will be processed to administer the application process to determine suitability for one of our horses. If you are successful in your application we will process your data in readiness for entering into a Guardianship agreement with you. When contacting our welfare helpline for advice or to report a concern we will record your name and preferred contact details for the purposes of logging your call and making contact again if we need to, or at your request. If you are reporting a welfare concern which may need to be investigated we may pass your contact details on to another equine welfare charity who may be better geographically placed to perform the check, however we will always ask your permission before sharing your personal data. When making a complaint or an enquiry at Redwings we will log your comments on your individual supporter record. For cases when you are not a supporter, a new complaint or enquiry record will be created. This is to ensure we can respond to your comments and improve your experience for next time. Your record will be securely and confidentially held on our supporter database, with restricted access. As a charity we are required to annually report on our complaints, however the information provided to the relevant bodies is anonymised. Redwings requires parental or legal guardian consent for anyone under the age of 16 wishing to use our online account services (including our online Adoption Scheme area). We will ask for this consent at the point of sign-up and send a confirmation email to the parent/legal guardian. We also require parental or legal guardian consent for anyone under 16 wishing to receive direct postal mail communications from us, such as Mini Reds or Young Reds. Parents/legal guardians of children under the age of 16 will also be asked for their consent for photography and film purposes. Data is held securely on our supporter database and only used for the purposes for which it was originally given to us. If at any point the child, parent or guardian decides they no longer want to hear from Redwings, contact preferences can be amended by logging onto the online account, by calling 01508 481000; emailing info@redwings.co.uk; or writing to Supporter Services, Redwings Horse Sanctuary, Hapton, Norfolk, NR15 1SP. To read our full Privacy Notice for children click here. Redwings holds data retention schedules for the data it processes. Our criteria for retaining data is that we will retain data to process in line with the original purpose. After that point Redwings will consider if there are other reasons we may need to retain data for a defined period of time i.e. legal, compliancy or operational reasons or for archiving or statistical purposes. If there is no reason for Redwings to retain the data it will be confidentially destroyed. For more information on specific retention periods at Redwings please email dataprotection@redwings.co.uk or write to Data Protection, Redwings Horse Sanctuary, Hapton, Norwich, NR15 1SP. Please note that your information may be used to send you details of those products or services that we offer that we have identified as likely to be of interest to you. This will be in accordance with the preferences that you indicated when you completed the ‘We’d love to keep in touch’ opt-in preferences before completing your transaction, when subscribing to our e-newsletter or when you contacted us through a contact us page or by email for more information about a specific area of our work. If at any point you would like to opt-out of receiving communications from us, or would like to change the communications channels (such as email or post) that we use to contact you, please call 01508 481000; email info@redwings.co.uk; or write to Supporter Services, Redwings Horse Sanctuary, Hapton, Norfolk, NR15 1SP. Redwings will process personal data of supporters for analysis purposes to help us provide the best possible customer service and Adoption Scheme. This includes analysing the location of our supporters, frequency of payments, age and other demographics that will help us better understand our supporter base so that we can provide an appropriate and effective customer service. We do not undertake any wealth or demographic profiling or use third party profilers. Data will be screened and cleaned in order to ensure that our records are accurate and up to date, especially in regard to deceased supporters. Data will also be screened for ‘gone aways’ (supporters who have moved house) in order to minimise the cost of contacting supporters who have moved house without informing us. Redwings will only use services for screening from trusted organisations, using data sources that require opt-ins or use publically available information such as Smee & Ford (which uses probate information) and Royal Mail’s National Change of Address system (NCOA). From time to time Redwings may review the service providers and information sources used in order to ensure that we meet our legal obligations and minimise the cost to the charity of contacting supporters who may be deceased or who have moved house. Some of our sites have CCTV (audio and visual) in place to help protect our employees, our equines, our visitors, and our stock. Signage is in place to inform people that they are in a surveillance zone. Access to our recorded CCTV footage is strictly limited to those with the appropriate training and security clearance. Sharing data with fellow members of the National Equine Welfare Council (NEWC) in the public interest who may be able to perform welfare checks on our behalf for the purposes of preventing or addressing equine welfare issues. When we pass on personal data to a third party we will make sure suitable data protection agreements to process data on our behalf are in place. You have the right to access the personal data Redwings holds on you. 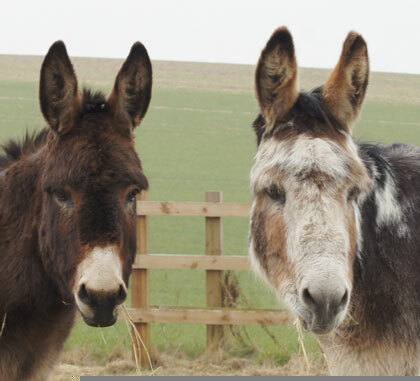 To make a subject access request write to Data Protection Officer, Redwings Horse Sanctuary, Hapton, Norfolk, NR15 1SP or email dataprotection@redwings.co.uk. You also have the right to request data rectification, erasure, restriction, portability, to not be subject to automated decision making and to object to processing in some circumstances. You also have the right to be informed about how Redwings uses your personal data and this information is contained within this Privacy Notice. For more information on your data rights, and when these rights apply, visit www.ico.org.uk, alternatively email dataprotection@redwings.co.uk. Where Redwings becomes aware of a personal data breach which places you at high risk, we will contact you as soon as possible to alert you to the breach, and help you take steps to ensure your data security going forward. To ensure that data is processed in line with the appropriate safeguards in place under GDPR, restrictions are in place concerning the transfer of data outside the European Union, to third countries or international organisations. The organisation receiving the personal data has provided adequate safeguards by agreeing to standard data protection clauses adopted by, or approved by, the ICO. _ga 2 years Used to distinguish users and general tracking. _gid 24 hours Used to distinguish users and general tracking. reg_ext_ref When the browsing session ends Cookie only placed when the user is referred from an external site such as a search engine. _uetsid 30 minutes Google Tag Manager – this cookie is used to track specific sessions for marketing purposes. Please note that this Privacy Notice is subject to change from time to time. This Notice was amended on 26th September 2018. We care about your data security and want to ensure you are happy with how we are looking after it. To find out more about data protection at Redwings contact our Data Protection Officer Charlotte Oliver on dataprotection@redwings.co.uk or write to us at Data Protection, Redwings Horse Sanctuary, Hapton, Norwich, NR15 1SP. Alternatively you can find out more by visiting www.ico.org.uk. You also have the right to lodge a complaint about how we have handled your data by contacting the Information Commissioner’s Office (ICO), however we always welcome approaching us directly in the first instance to allow us to quickly address your concerns.